You must have seen me posting a lot of Indian wear posts when it comes to fashion posts. That is because I really like the relaxed silhouettes and fabrics. I personally love cottons and rich silks which is something you will definitely get when it comes to Indian wear! Similarly there is this one type of silhouette that I consider to be the most comfortable and versatile! Indian Suits have so many variations these days but the one silhouette that has stayed and shined always is the Anarkali Suit. It was majorly introduced to Indian fashion after the movie, Mughal-e-azam. But the anarkali suit saw a makeover, a practical one at that, some years back and since then it has been a hot favourite! I am listing out a few reasons why I personally love Anarkali suits so much and how you can incorporate this suit for every occasion! Like always, this is the first thing I consider when it comes to clothing! 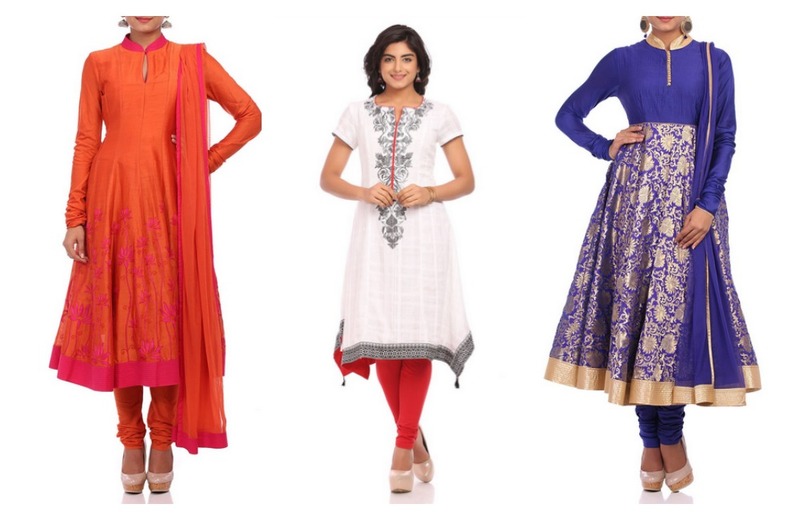 The anarkali suit is roomy, flow-y and very comfortable when made of a light fabric. 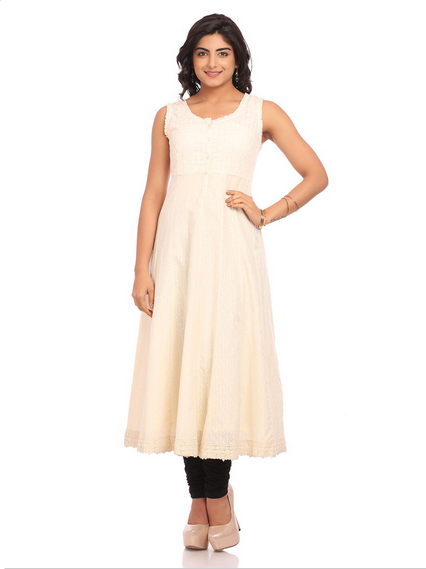 Always opt for linen and cotton anarkali suits for a hot and humid day. Stay away from heavy embroidery; opt for prints and light colors for day. 2. You can wear it in so many ways! You can wear it as a regular anarkali suit or you can try wearing it in a few different ways! 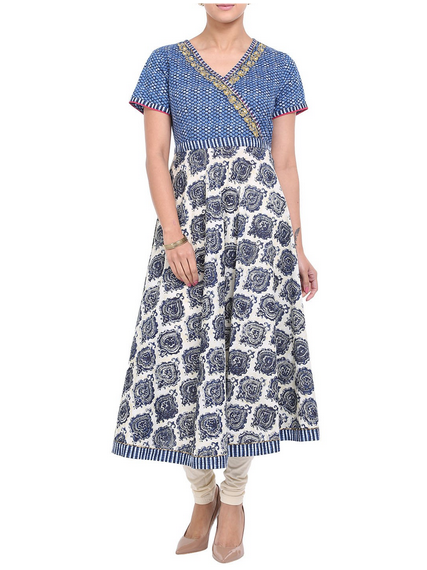 Wear the anarkali kurta like a dress; cinch it at the waist using a belt. If your anarkali is full length or ankle length, wear it as a gown. Wear a top over your anarkali and let the flare of the anarkali be the skirt. Wear a belt on your waist over the top. Wear it with a printed anarkali, I love the prints of the Biba Anarkali suits and I can buy the Biba suits online easily! Plus their sizes fit me perfectly! 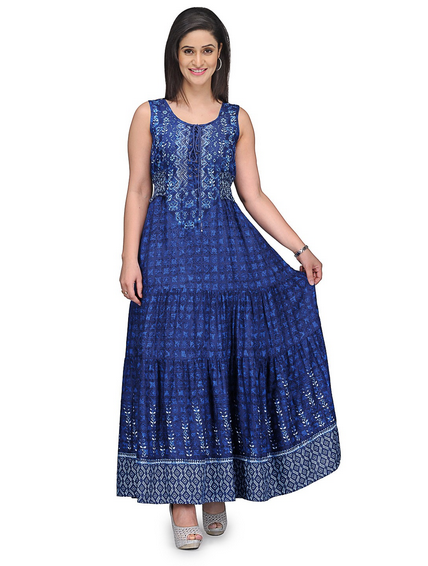 You can also wear a short kalidar kurta/Anarkali kurta with a long skirt! This looks very good and is extremely comfortable! I can wear a anarkali to office, a variation of it on a day out with my girls, as a dress on a date and I can event wear a beautiful anarkali to a wedding or a function that calls for me to dress up! With an anarkali I can always dress up or dress down! 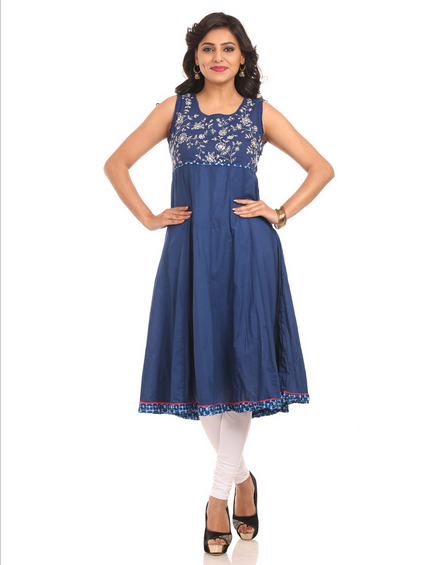 The Anarkali suit does a great job at making every woman look good, irrespective of her height or body type. But if you do want to keep a few things in check then wear an anarkali with loads of “kali” or flare if you are skinny , this would make an illusion of a little more weight. This also does a great job at covering up those love handles and muffin top! That is why I opt for an anarkali when I am feeling bloated! These are a few things that, according to me, makes the Anarkali suit an evergreen silhouette for the curvy Indian women, plus you can wear this on all occasion! Do let me know your views in the comments sections on what type of anarkali you like and how you like to wear it! I love anarkali suits too 'coz they are versatile. More often than not I wear them as dresses. Yep! They have been around for quite sometime now! I love Anarkali suits too!